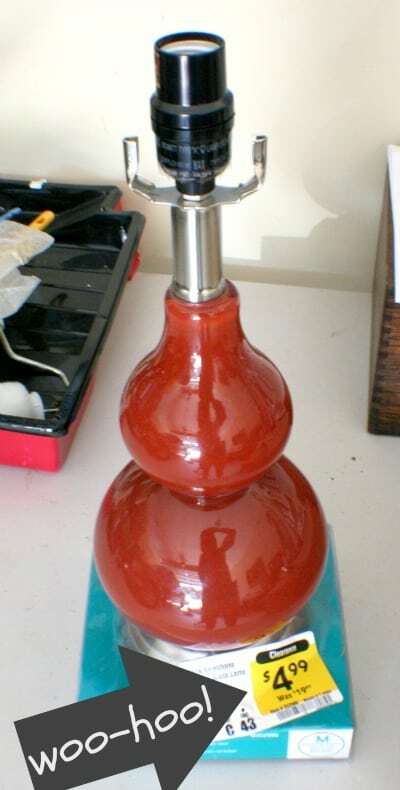 $5 lamp base, yes please! The base itself was pretty but didn’t really go with any of our decor. I loved the shape of it though so I decided to give it a makeover to put in our master bedroom. First step was some white spray paint. It was looking good but it needed a little something extra. I pulled out my Krylon Quick Shots in Gold Leaf that I used on my Faux Brass Birds and sprayed the very bottom of the base. A $15 linen drum shade from Walmart topped it off. What do you think? I’m on the fence. I tried it with a white drum shade as well and I just don’t know if I like the end result. Thoughts? What awesome clearance finds have you come across lately? Love it with the linen lampshade! I recently painted an old lamp from the thrift store for my sons room. I’m hooked! Can’t wait to go and find something for our living room. What a great find! I love the linen lampshade but if you’re on the fence about it, why not try dressing it up a bit with some ribbon trim around the bottom edge? You are so amazingly talented, Melissa! 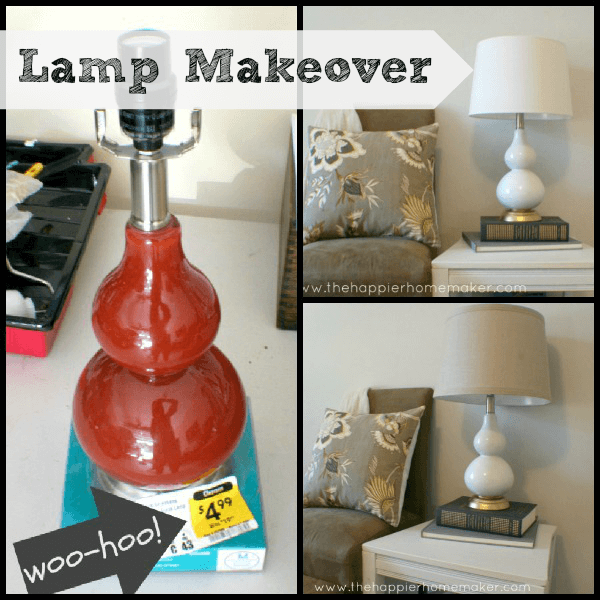 Love your lamp makeover. Good shopping! Love it with the linen shade. Missed this post! I am in love with your lamp, especially the gold! I once found 84 cent silk-look drum shades at Lowes. Great bargain hunting spot! 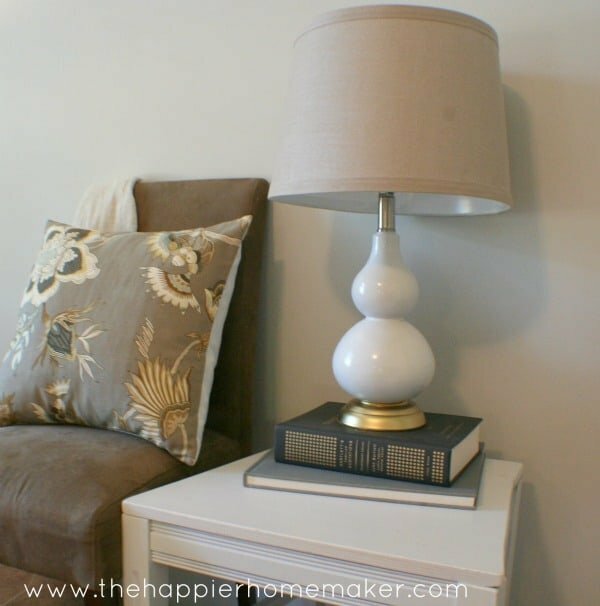 love the linen lamp shade! Looks very classy!